It is easy to imagine that we live in a unique era where human beings face challenges and opportunities that no previous generation experienced. The tendency to focus on, and sometimes celebrate, our position in history is reinforced by rapid advances in technology that actually have changed the human experience in important ways. At the same time, we face terrifying risks to the continued existence of civilization that few people living even a century ago would have contemplated. Intuitively, it seems almost certain that the lives we lead today have very little in common with the experience of a person living a century ago and almost nothing in common with someone living a few thousand years ago. This is true of certain practical aspects of our day-to-day existence but we must remind ourselves that even a few thousand years is almost nothing in the context of human evolution. From a psychological perspective, have we really changed very much at all? Or do we face many of the same problems and suffer from the same biases and human misjudgments as our ancestors? And as an essayist, I am not judged by other writers, book editors, and book reviewers, but by readers. Readers? maybe, but wait a minute… not today’s readers. Only those of tomorrow, and the day after tomorrow. So, my only real judge being time, hence future readers; it is the stability and robustness of the readership that counts. And as a risk taker, only time counts –for I could fool my accountant with steady earnings with a lot of risk, but time will eventually reveal the properties. The essence of the Lindy Effect is that short term success can be due to a variety of factors, many of which have little to do with the long term value of what has been produced. But for something to survive over centuries, it must provide actual value. If not, it will be relegated to the ash heap of history, both literally as physical manifestations of an idea deteriorate, and literally as the idea retreats from human consciousness and is never discussed again. The dwindling number of people who still browse physical bookstores are well aware of the large number of shelves devoted to “self help” books of various types. These books seek to present new and interesting perspectives that “speak to” modern human beings and address our very unique problems and challenges. How many of these books will be in print in five years? How many will be stacked on portable shelves placed outside used bookstores and sold for $5 or less as they physically deteriorate while exposed to the elements? It is safe to assume that the vast majority of these books will not survive the next few decades, let alone be read by people in a few hundred years. Some will fail due to a lack of merit and others might just have gone unnoticed. But all will be subject to the Lindy Effect. Approaching the category of books known as “classics” can be quite an intimidating experience, especially for those of us who were educated in systems that did not make it a priority to expose students to these works at a relatively early age. However, one of the many benefits of reading what are known as the Great Books is that we begin to gain an appreciation for the fact that the underlying elements of human nature have not necessarily changed very much over the centuries. Many of the fundamental problems we face today were encountered by people living thousands of years ago and they struggled then just as we do today. Rather than be intimidated by the classics, it is best to jump in and start reading. Of course, we have a limited amount of time to read and many seek practical knowledge they can apply right away. 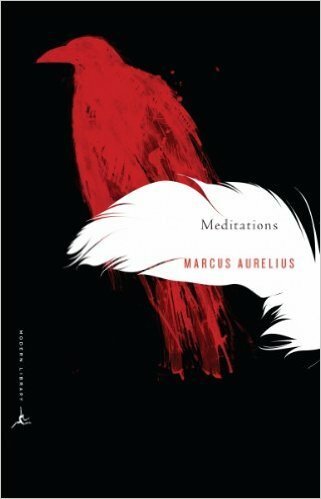 If the dual goal is to learn from the classics and obtain practical knowledge, one could hardly do worse than to start by reading Meditations by Marcus Aurelius. 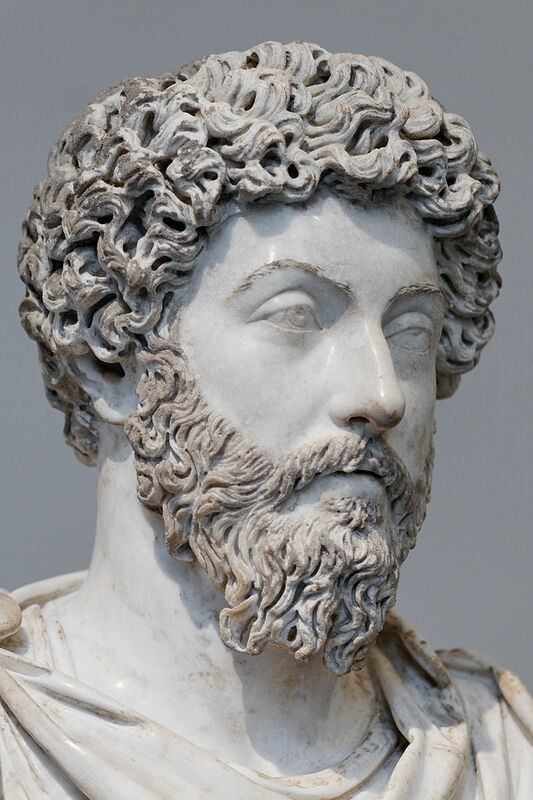 Marcus Aurelius was born in 121 A.D. and was the Roman Emperor from 161 until his death in 180. The story of his childhood and the sequence of events that led him to become the heir apparent gives us a sense of the type of person he was, which was obviously far removed from the experience of ordinary people at the time. The introduction to Meditations by Gregory Hays provides the background a modern reader needs to put the book into context. As an adherent of stoicism, Marcus adopted a philosophy of life that was already centuries old at the time — meaning that Marcus himself looked to the classics of his day as he formulated his world view. Stoic philosophy was not merely an academic discipline to be studied but a blueprint for living one’s life. Central to this world view is the concept that the world is organized in a rational and coherent way, as must be our interactions with the world. Although he is probably best known for Meditations, it is interesting to note that Marcus never intended to write a book for publication, let alone put forth a philosophy of life that others would try to emulate thousands of years later. The book we have today was written as a compilation of personal reflections with references that sometimes would only make sense to its author. Mr. Hays characterizes the book not as a personal diary but as a personal self help book, one that Marcus himself could refer to in the midst of the stress and demands of his everyday life as Emperor. The Hays translation is modern enough to be very intelligible to today’s reader while, in places, retaining the ambiguity one would expect from a 1,800 year old set of personal reflections. The topics Marcus addresses are wide ranging, with the most profound relating to matters of life and death, and in particular the manner in which human beings should view their place in the world and the unjustifiable anxiety surrounding death. Most of these topics, although very worthwhile to read, fall outside the scope of our concern in this article where we instead focus on Marcus’s views regarding topics that have contemporary applications to business, investing, and human psychology. We aim to take selected excerpts from Meditations and relate them to contemporary life. “Do external things distract you? Then make time for yourself to learn something worthwhile; stop letting yourself be pulled in all directions. But make sure you guard against the other kind of confusion. People who labor all their lives but have no purpose to direct every thought and impulse toward are wasting their time — even when hard at work. ” — Book 2, Section 7. It is, of course, easy to relate to the first sentence. External factors distract us all the time, whether it involves coworkers, family members, television, the internet, or increasingly, the phone in our pocket. This could have been written by a self help author last week or discussed on a morning talk show today. As investors, we face distractions all the time. Many of us have televisions tuned to CNBC all day, every day. Marcus is encouraging us to turn off these distractions and focus on something “worthwhile”. However, we must be sure that what we are focusing on is actually worthwhile rather than busy work that serves no real purpose. We can feel busy all day but accomplish little, even when not distracted. “Remember how long you’ve been putting this off, how many extensions the gods gave you, and you didn’t use them. At some point you have to recognize what world it is that you belong to; what power rules it and from what source you spring; that there is a limit to the time assigned you, and if you don’t use it to free yourself it will be gone and will never return.” — Book 2, Section 4. That’s a pretty intense statement that goes beyond what we’re likely to read today. It is even a little bit “judgmental”, which would be considered a sin in today’s “no judgment” self help culture. Do not procrastinate because we’re working with a very limited amount of time on this earth and should make it count. If we don’t make the time assigned to us count, we will never get it back. That’s something to consider the next time we decide between watching a financial news entertainer and finishing up a 10-K. If you waste your time, you will never get it back. And if we choose to be entertained, maybe that is not a waste of time but should be recognized for what it is. “Concentrate every minute like a Roman — like a man — on doing what’s in front of you with precise and genuine seriousness, tenderly, willingly, and with justice. And on freeing yourself from all other distractions. Yes, you can — if you do everything as if it were the last thing you were doing in your life, and stop being aimless, stop letting your emotions override what your mind tells you, stop being hypocritical, self-centered, irritable. You see how few things you have to do to live a satisfying and reverent life? If you can manage this, that’s all even the gods can ask of you.” — Book 2, Section 5. Admittedly, Marcus has something far more serious in mind here than focusing on finishing a boring proxy statement, but focusing on what’s in front of us has a great deal of merit. If we free ourselves from distraction and focus on the work sitting in front of us, and if we do this on a consistent basis day after day, good things are likely to happen. One very key point is that we must keep our emotions in check and let our rational mind dictate what we do. So much of what takes place in business is driven by emotions — principally fear, greed, and envy — and we must guard against acting in irrational ways due to these emotional factors. “Never regard something as doing you good if it makes you betray a trust, or lose your sense of shame, or makes you show hatred, suspicion, ill will, or hypocrisy, or a desire for things best done behind closed doors.” — Book 3, Section 7. In other words, never take any action in business that you would be ashamed of and only wish to be known behind closed doors. Although acting in accordance with this ethical code might seem virtuous, it is really in our self interest in the long run. Being known as a person who betrays trust and acts in hatred and out of ill will and hypocrisy is, quite simply, bad for business. We can all identify businessmen and politicians who seem to have “gotten away” with terrible behavior but the high publicity surrounding these cases might obscure many more who have never risen to prominence because they were considered untrustworthy at an early stage. “People who are excited by posthumous fame forget that the people who will remember them will soon die too. And those after them in turn. Until their memory, passed from one to another like a candle flame, gutters and goes out. But suppose that those who remembered you were immortal and your memory undying. What good would it do you? And I don’t just mean when you’re dead, but in your own lifetime. What use is praise, except to make your lifestyle a little more comfortable?” — Book 4, Section 19. Again, we can look to a modern example and consider Warren Buffett’s notion of an “inner scorecard” and an “outer scorecard”. People who live their lives based on an inner scorecard have a set of standards by which they judge themselves. How well they do in life depends on their own judgment, not that of others. Those who live their lives based on an outer scorecard allow their self-worth to be based on the judgment of others. As Marcus reminds us, those who are judging us during our lifetimes will also soon die. The judgment of others is, in reality, of limited utility to us personally during our own lifetimes. One ironic aspect of this quote is that Marcus is himself remembered long after his lifetime through a book that he never intended to publish. As he wrote these words, it is unlikely that Marcus cared at all whether any of us are reading his words today. His philosophy of life was entirely based on an inner scorecard despite the immense power he held as Emperor and the obvious knowledge that his actions would be recorded for posterity. There is nothing wrong with wanting to leave a legacy so long as we remember the limitations of legacies in general, the fleeting nature of fame, and the need to avoid taking shortcuts in order to attain something that might not really matter in the long run. Later in the book, Marcus makes the following observation: “It’s quite possible to be a good man without anyone realizing it. Remember that.” — Book 7, Section 67. “When you wake up in the morning, tell yourself: The people I deal with today will be meddling, ungrateful, arrogant, dishonest, jealous, and surly. They are like this because they can’t tell good from evil. But I have seen the beauty of good, and the ugliness of evil, and have recognized that the wrongdoer has a nature related to my own — not of the same blood or birth, but the same mind, and possessing a share of the divine. And so none of them can hurt me. No one can implicate me in ugliness. Nor can I feel angry at my relative, or hate him. We were born to work together like feet, hands, and eyes, like the two rows of teeth, upper and lower. To obstruct each other is unnatural. To feel anger at someone, to turn your back on him: these are obstructions.” — Book 2, Section 1. With a healthy degree of skepticism regarding the number of such people a Roman Emperor actually would have to tolerate, we can still see the wisdom in the sentiment Marcus expresses here. There’s an element of giving difficult people the benefit of the doubt, and adopting a stoic philosophy in which one cannot be harmed by the meddling or dishonest misdeeds of others. In a practical sense, one can obviously be harmed in the short run and it does not appear that Marcus is advocating total passivity, only acceptance and recognition of the way the world is and that we can only control how we react to others, not how they choose to behave. “The despicable phoniness of people who say, “Listen, I’m going to level with you here.” What does that mean? It shouldn’t even need to be said. It should be obvious — written in block letters on your forehead. It should be audible in your voice, visible in your eyes, like a lover who looks into your face and takes in the whole story at a glance. A straightforward, honest person should be like someone who stinks: when you’re in the same room with him, you should know it. But false straightforwardness is like a knife in the back. — Book 11, Section 15. The next time you’re tempted to say “Honestly, my opinion is … ” or “I’m going to level with you … ” or “To tell you the truth … “, consider the message this might be sending regarding your normal level of trustworthiness. “Stop drifting. You’re not going to re-read your Brief Comments, your Deeds of the Ancient Greeks and Romans, the commonplace books you saved for your old age. Sprint for the finish. Write off your hopes, and if your well-being matters to you, be your own savior while you can.” — Book 3, Section 14. There’s not much to add here. Time is limited and we must make the most of what we have while we can. Those who are unfamiliar with Meditations will almost certainly gain a great deal by taking a few hours in the near future to absorb its important lessons.